Well, it’s winter again, and the snow is already falling. My dog, Champ, simply loves the snow. He plays and frolicks and digs. He is truly at his happiest in the winter weather. However, I do have one major concern when he runs in the snow: all of the harsh chemicals and salts that they put on our city streets are very unhealthy for pooches and their paws. That’s why I was happy to review PAWZ rubber boots for dogs. I’ve tried every dog boots imaginable, and the only ones I’ve found that work are PAWZ all natural rubber and waterproof dog boots. The PAWZ boots are like balloon bladders. They simply slip over your dog’s paws, and away they go. That said, it may take some practice for you to be able to get them on, and your pup will have to stay somewhat still while you do it. They are such cute little booties that remind me of Rudolph’s red nose–very seasonally appropriate. People stop and give my pup compliments because they are so adorable. PAWZ boots are disposable but can be used time and time again. The package comes with twelve boots, and one package will last a whole season. PAWZ boots stay on. When one wears out, you simply toss it. It’s nice when you can actually throw away a worn out doggy boot and not worry when you lose one. Plus, they come in different sizes, so you know the boots you buy actually do fit your dog. Not to mention the snappy colors. PAWZ rubber boots are not just for winter; they protect against harmful elements all year long. 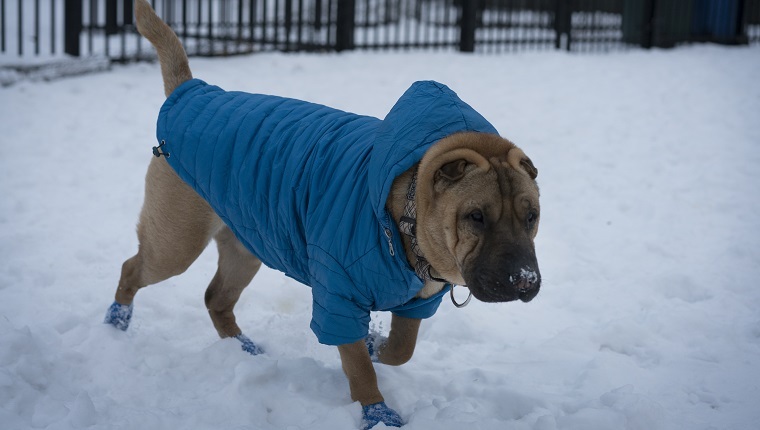 Here are some of the many baddies they’ll protect your pet’s paws from: ice, lawn chemicals, salt, liquid chloride, snow, stinging insects, mud, clay, pad rashes, post-surgical infection, post-grooming dirt, hot pavement, and traction control problems. My recommendation is to always keep a package of PAWZ dog boots in the house. You can buy them pretty much anywhere that pet supplies are sold, or you can order them online. I’d recommend picking them up from Amazon. 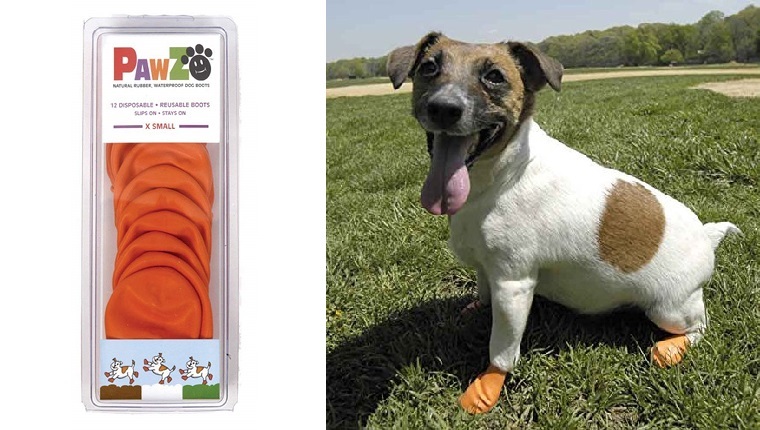 Do you use PAWZ rubber dog boots? Do they help keep your dog’s paws safe on walks? Let us know in the comments below!